Long before chopped portafilters and TDS meters and scales came along, professional baristas learned the fine art of analysing a shot visually as well as by taste. In this example, what seems like a good double shot was actually showing too much flow rate. Late last year, ChefSteps put out an educational series on making espresso in the home. The series was done in conjunction with the folks at La Marzocco Home. It’s a good series of educational videos on making espresso and the things that surround it, but I had two criticisms of the videos, one minor, and one not so minor. The minor criticism is that the educational series was primarily focused on using a $6000+ espresso machine, and in these kinds of educationals, I’d like to see what is possible from $250 machines along with the super expensive models. I am sure these videos would appeal to a wider range of consumers if the equipment used didn’t cost more than many peoples’ cars. The Crema Myth is full of holes (it basically implies any kind of visual analysis of the espresso process isn’t important – in my view, it is). Long before TDS meters and chopped portafilters and scales, baristas learned to rely on visual analysis of shot development, tied with actual taste, to determine good espresso shot development. In the past I wrote “while I’ve had a few good tasting shots that have had blond, thin crema, I’ve had many, many more bad tasting shots that had blond, thin crema”. Visual analysis, in this day of horse-blinders TDS meters, is becoming a lost art by many baristas. The God Shot one is pretty much entirely wrong, including where they say God Shot originated (it originated in a newsgroup called alt.coffee in the late 1990s, not someone’s blog from the 2000s; here’s aninteresting thread from alt.coffee on the subject in 2001). Where the God Shot myth debunking video is completely off point is that the video authors (Charles Babinski and Scott Callender) give the impression we’ve collectively figured out espresso, and that perhaps we’ve hit “peak espresso” (my impression, not their quote); and pursuit of the “god shot” is no longer necessary because we understand all that goes into making a great shot of espresso. 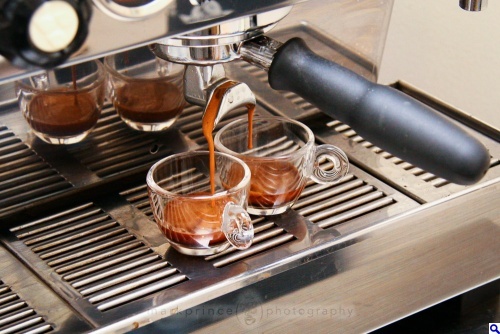 In this example, the flow rate and development of crema were indicators of a good shot (taste being the final arbiter). I subscribe to the George Howell school of “we know nothing about espresso yet”. Every day, every week, every year espresso gets better (except for competition espresso, but I’ll save that for another article). And in that school of thought, god shots of espresso not only exist, but are a genuine pursuit you should be following. (I’ve written extensively about the god shot mantra over the decades, but I feel the urge to cover it yet again, perhaps for a future article). 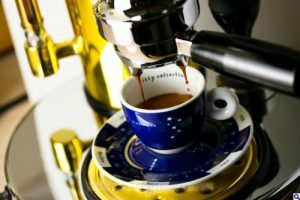 I could spend my entire article dissecting the other attempts at espresso myth busting in those videos (don’t even get me started on the Grind Freshness Myth video… other than to say, do not follow the advice in it), but instead, I decided to tackle some real myths about espresso that need busting. 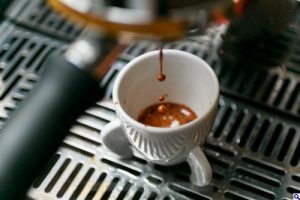 These are commonly held myths by the general public about what espresso is, what it is supposed to be, and how it is supposed to be produced and tasted. Let’s get into it! In a word, no. In more words, no, you cannot. Espresso, by it’s nature since about 1946 or 1947, is a concentrated beverage made by inducing very high pressure (much higher than just steam on its own can do) to push water through a finely compacted bed of ground coffee. Let me take a moment to describe what I believe modern day espresso is. Espresso, today, is a beverage made via a pressurized flow-through brewing method, using approximately 7-10 grams of finely ground coffee per single (.5oz to 1oz, or 15-30ml) serving beverage size. Espresso is produced using water heated to around 195-205F (90.5-96.1C), which is then pushed through the bed of finely ground coffee at a pressure reaching 9BAR, 135PSI, or 930Kpa, give or take 5-10% of the pressure amount. The entire flow through percolation time is roughly 20-30 seconds, not including any preinfusion time (or more recently, post lower pressure finishing time). The coffee component can be single origin (one farm / type of coffee) or a blend, but must be ground to an average of 325 microns (±50um), and formed (pressed) into a puck inside a filter basket. The resulting liquid should have a) crema, b) a nearly completely opaque liquid portion, c) 15-30ml per single serving, and d) be served around 155F (68C) ±8F (±5C). Some may disagree with some of my criteria above, or believe more latitude in variations should be allowed, but I’m fairly confident most would agree my definition is the most widely accepted one in use today. So let’s get into machines that are not espresso machines or devices. I know the inventor of the Aeropress claims his product produces espresso, but it does not. There is a 3,000+ comments thread on CoffeeGeek, dating back to 2005, where this specific subject was debated ad nauseum (go give it a read!) and included a lot of discussion with the Aeropress inventor directly. The $59 Krups and Salton “espresso machines” you see everywhere, the types that have a knob on top for the steam boiler? Not an espresso machine (regardless of what they say on the box). Stovetop espresso makers? Generally not espresso machines, again using the definition for espresso that’s existed for nearly 70 years now. There are some stovetop devices that use serious engineering to produce “near espresso” (“The Little Guy” is one such device, as it gets up to about 6 or 7 BAR of pressure), but all those Bialetti stovetop espresso makers? They produce at best 1.5BAR of pressure and make a slightly concentrated coffee beverage, not true espresso. To make espresso, you need an espresso “machine” designed for the task, but that doesn’t necessarily mean an electrically powered one. There are manual, non electric devices that make modern day espresso, including the Presso, the ROK, the Handpresso, and the sadly defunct Mypressi. Of course you do need a method for heating up water, but that’s what portable camp stoves were designed for. You also don’t necessarily need a machine with an electrical pump inside either: machines like the La Pavoni Europicolla, or theElektra Micro Casa a Leva make perfectly fine espresso using a lever (and in some cases, a spring pushed by a lever) to make modern day espresso. And of course, there are many, many machines with pumps. All types of pumps – vibratory pumps, rotary pumps, even the latest craze, gear drive pumps. Espresso is brewed at 9BAR of pressure. Machines sold with bold marketing claims of 15, 18BAR of pressure? First, they’ve falsely convinced consumers that the higher the BAR rating, the better the espresso is (pro tip: it is not). Second, they still brew at 9BAR (roughly – very roughly). Why? Because inside the machine there’s a restricting valve or apparatus that takes the 15, 16, 18BAR water pressure produced by the built in pump, and restricts the pressure down to 9BAR. So why do these inexpensive machines brag about super high BAR ratings? Because they’re built really, really cheap vibratory diaphragm pumps. And they’re hooked up to really, really cheap interior plumbing, valves and connectors. The cheap pumps widely vary the pressure they deliver, so if they were factory “tuned” to 9BAR, they’d be producing anywhere from 6 up to 12BAR during the shot brew — this is why they are somewhat over-engineered to produce 15, 16, 18BAR of pressure. Second, that cheap interior plumbing design? It eats away at the pressure produced by the pump as the water goes from pump to the machine’s boiler (or thermoblock). On some machines, as much as 3BAR of pressure can be dissipated by bad interior design and materials. More expensive machines have better engineered and designed pumps that can deliver close to their spec rating for pressure. Even more expensive machines use rotary pumps, which not only are much better at delivering pressurized water, but can also be dialed up or down to deliver more or less pressure. Cheap machines don’t have this, so they made lemonade out of lemons, bragging (falsely) about their super high BAR pressures. So count this as Myth #1.5, busted. This has less caffeine, gram per gram, than a dark roasted coffee of the same coffee origin type. When you roast coffee, literally thousands of tiny changes are happening inside a coffee bean. Stuff is burning off (carbonizing); other stuff is phase changing (solid, to liquid, to gas). Stuff (mainly gasses) dissipates. And various chemicals inside the bean change into different chemicals. One chemical inside green coffee doesn’t change much during the roasting process, and that is the caffeine component. In fact, caffeine is one of the more resistant components inside coffee, changing little during the roasting process. 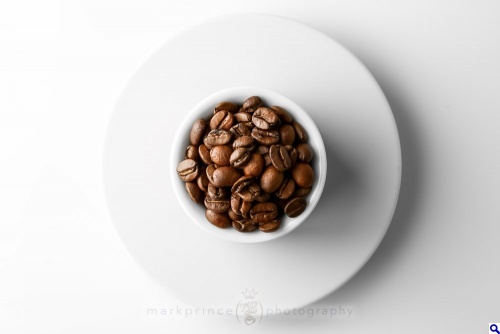 A roasted coffee bean contains nearly the same amount of caffeine as it did when it was a green bean. However, other things in the coffee bean can change dramatically during the roasting process. It’s the reason why a coffee bean will lose between 10 and 25% of its weight during the roasting process, depending on how dark your roast: the darker the roast, the more weight loss per bean. And therein lies the reason why the darker you roast coffee, the more caffeine is in the resulting grounds. Let me explain. Take two beans that were identical in size and weight when “green” (before roasting). Roast one to City (medium), and roast the other to French (dark). At this point, if you were able to extract 100% of the caffeine inside each individual bean, you’d end up with an nearly equal amount between the City roasted bean and the French roasted bean (the French roast might have .1mg less!). But the French roasted bean can weigh about 10% less than the City bean, because of the increased weight reduction it went through with the darker roast. So if you want 100 grams of ground coffee for your big pot of brewed goodness, you’re going to be using (roughly) 10% more actual beans from the French roast than you would be from the City roast to get the same weight volume. And that means… ta da! (roughly) 10% more caffeine in the French roast 100g sample compared to the 100g City roast sample! It’s also important to note that the darker a coffee is roasted, the higher each individual bean’s percentage of caffeine is (compared to all the other components in that bean). This is responsible for what I call a side myth: some people believe the darker a coffee is roasted, the more caffeine iscreated by the roasting process! Roasting doesn’t create caffeine. But caffeine sticks around much longer than other things inside the roasting bean, so it’s overall percentage in the bean climbs the darker you roast. Caffeine does not contribute to “bold flavours” in the cup. Caffeine, in its purest form, is one of the most bitter tasting substances science knows of. This isn’t me saying this, this is the FDA saying this, and the FDA actually advises using pure caffeine as the element in the bitter portion of their sensory skills testing (testing a person’s ability to distinguish sweet, sour, salty and bitter). Bottom line? Caffeine contributes bitterness (not necessarily a bad thing, as bitters balance with sweets and fats and oils in the coffee). Bold? Gah, I hate that descriptive for coffee. Bold, schmold. 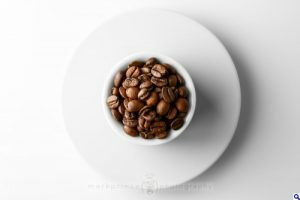 My experience as a coffee educator is, while many like to use the term “bold” to describe coffee, very few can actually define what they mean by it. My advice? Stop using bold to describe coffee, entirely. Get ready for our most complex myth bust! By the time this short double shot is done, it’ll have around 100mg of caffeine (for a 40g shot pull, or about 40mm of espresso). Or the caffeine in less than 2 cans of Coke. Okay, this here is a truth: It is true that if you drank 12oz of pure espresso (6 full doubles, made from 18g of coffee per double brewed, aka 108g of ground coffee total), you would have way, way more caffeine in the cup than a 12oz cup of coffee. But we don’t drink espresso that way. Before I get into this, please excuse my mix of metric with US measurements — my audience is primarily American. So… we don’t drink espresso that way. Instead, we drink espresso as a single shot (30ml of liquid, 1oz, contains 70mg ±5mg of caffeine on average from arabica beans), a double shot (60ml, 2oz, containing 140mg, ±10mg caffeine), or as a quad for the people who want a bigger serving (120ml, 4oz, containing 280mg, ±20mg caffeine). And the vast number of double and quad shots of espresso aren’t actually served that way, but are used to build an espresso-based drink like a cappuccino, americano, mocha or latte. A typical small americano you’d buy at most cafes has around 140mg of caffeine in it for a 6–8oz beverage size. If you’re like me, you more prefer a “traditional” americano, which is a 4–5oz beverage using a short double (about 1.5oz of brewed espresso) delivering around 100mg of caffeine. If you want to go all purist, the original americano drink consisted of 3 parts hot water and 1 part espresso, or a simple 4 ounce beverage with around 70mg of caffeine. This scale works similar in a cappuccino. A traditional single shot cappuccino, a 5oz beverage delivers you 70mg of caffeine (and a lot of milk to soften that espresso’s hit). The double, at 6-8oz has 140mg, and of course, that big giant obscene Vente from Starbucks will have two double shots of espresso in it, delivering you 280mg of caffeine and a heckuva lot of milk fat unless you go skinny milk style. The point is, 1 shot (30ml) of espresso = 70mg ±5mg of caffeine, then do the math afterwards! Brewed coffee on average — made from Arabica beans, because Robusta has almost 2x the caffeine as Arabica does — has roughly 20mg (±2mg) of caffeine per fluid ounce of liquid. Not much, right? Well, your 12oz “small” cup has 240mg… not much less than a quad espresso. 16oz? 320mg of caffeine in it, and you’ve got more caffeine than almost any espresso-based drink you order. And that bigger-than-your-gut 20oz Venti at Starbucks? A whopping 400+mg of caffeine, or more (chem labs have analysed the caffeine content of Starbucks house brew in 20oz size, it’s around 415mg). So here’s where things get more complex. Why am I saying espresso has less caffeine than brewed coffee does, when 1oz of brewed coffee has 20mg, and 1oz of brewed espresso has 70mg? It’s about the amount of ground coffee used, the extraction efficiency a brewing process has on ground coffee’s stored caffeine, and the serving size. Regarding the amount of ground coffee – we typically use 7-9g of coffee per single shot in espresso. For brewed coffee, the average is around 7g per 100ml you plan to brew. So an 8oz double shot cappuccino used 14-18g of coffee; an 8oz brewed cup will use about 17g of coffee. Pretty close, right? But then there’s extraction efficiency. Because espresso is a fast brew process, it only extracts about 75% of the stored caffeine in the grounds used to create the beverage. But slower brewing methods like Chemex, pourover, drip, etc, extract 95% or more. Here, the scale starts to tip heavy on the brewed coffee side of things. This is why an 8oz double shot cappuccino has 140mg of caffeine, and an 8oz cup of brewed coffee has 160mg. The third element, serving size, is where things really get tossed around. It’s all normal to order a single or double of espresso (1-2oz) and sip and toss that back. When’s the last time someone ordered 1oz of Chemex-brewed coffee? Well, maybe it happens in Portland. But most other places, you get 8-12oz of brewed coffee. When it comes to espresso, while many may drink 1-2oz straight up, most doubles, and even more quad espresso builds are not imbibed straight up, but as part of an espresso-based drink build. And except by special request (and an added fee), most cafes don’t build espresso-based beverages with more than 4 shots of espresso. Even your 20oz crazy size Venti. So let’s talk about those 20 ounces. A 20oz super Venti cappuccino used 36g (max!) of ground coffee to become real. That provided 280mg of caffeine and a hella lot of milk taste. But the 20oz brewed coffee Venti used 42 grams of coffee to become a reality — and don’t forget was a lot better at extracting all the ground coffee’s caffeine — and all those grams served up a whopping 400-420mg of caffeine, 1.5x more than the venti cappuccino. Long story short? Every espresso-based beverage (save for straight shots of espresso itself or a true macchiato) will have less caffeine than its equivalent sized brewed coffee beverage.